Flexpak manufactures Tote Bin Liners for stand-alone use or use with boxes. With custom design to meet the customer’s specifications, the Tote Bin Liners at Flexpak can be manufactured in different forms which allows for greater flexibility in box lining use. The difference in liners manufactured at Flexpak compared to other manufacturers is in the ability to create a liner that truly lines the box or bin without inner folds. Flexpak specializes in custom design, and as such, has provided several custom liners to customers across the United States. 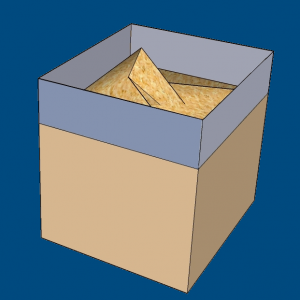 Flexpak has the ability to manufacture a square fit liner to the box or lining specifications. While common liners have gusseted ends (which Flexpak can provide), Flexpak can manufacture a liner that follows the length and width of the bottom of the box being lined. This type of cover is an excellent option for lining boxes being filled with small products or items. One company in the food industry has found advantage in using the square fit Tote Bin Box Liners for filling and poring small food pieces without the hassle of having pieces becoming stuck in the liner gusset or fold. 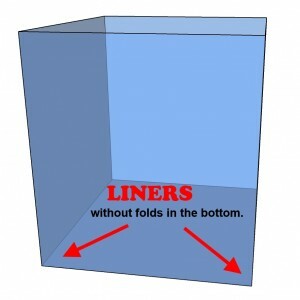 Such a liner forms a solid “square” at the bottom of the box and hugs the sides coming up the inside of the box. This allows for a very slick liner to be used without the worry of objects remaining stuck in the box after an effort for their removal. 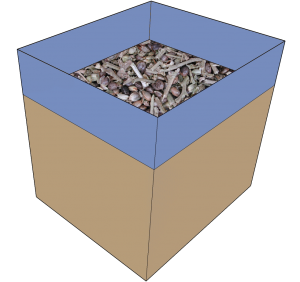 Multiple layered Tote Bin Box Liners are also an option. If there is worry that a liner may leak, multiple liners can manufactured within each other. With such a product, a 3-layer liner can be applied to a box or container with a single application. This is an excellent product manufactured at Flexpak for those conditions where the liners are being used with very small objects (like rice or pellets) or if moisture needs to remain in the box. Contact Flexpak at any point to discuss Tote Bin Box Liners as an option or if there are questions regarding which type of liner is right for you.